Want to sign up but can't find the coupon code? 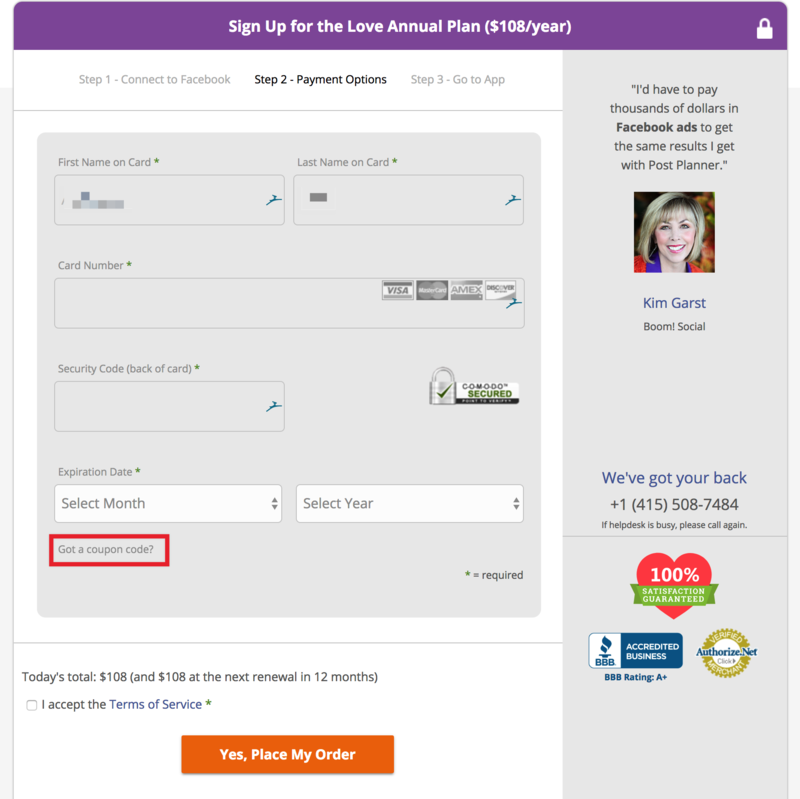 Your coupon code can be applied on the Payment Options (Step 2) of the checkout process. It's easy to overlook, so make sure you scroll to the button where it says, "Got coupon code?" and click before proceeding. Signed up but couldn't find where to input the coupon code?